Lalu Yadav's elder son Tej Pratap Yadav will now reportedly field his candidate from the Jehanabad Lok Sabha seat against the RJD. New Delhi: Rashtriya Janata Dal (RJD) patriarch Lalu Yadav’s elder son Tej Pratap Yadav will reportedly field his candidate from the Jehanabad seat against the RJD. 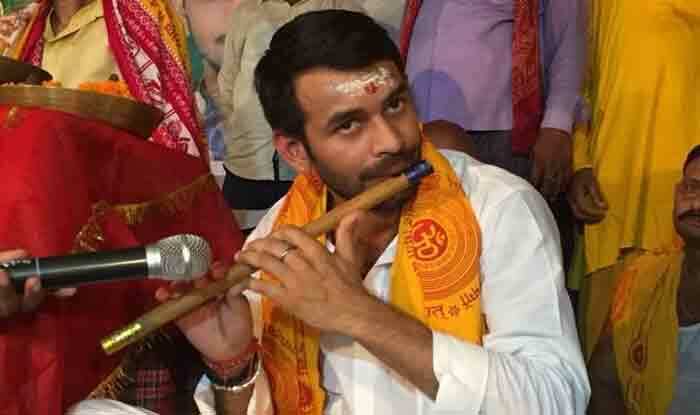 According to Zee News reports, Tej Pratap Yadav announced on Saturday that his candidate Chandra Prakash Yadav will contest from Jehanabad against RJD as an independent candidate. The RJD has announced Surendra Yadav, a sitting MLA, as its official nominee from the Jehanabad seat. This development comes in wake of reports of a widening rift between Lalu Yadav’s two sons Tej Pratap Yadav and Tejashwi Yadav for the coveted RJD leadership. Both brothers are reported to be sparring over the allocation of tickets for some constituencies- particularly Jehanabad and Sheohar Lok Sabha seats. Later, speaking to Zee News, he hinted at a rift within the family by saying that he had asked Tejashwi for two tickets but didn’t hear from him. He said, “I am willing to sacrifice my life for my people.” He added that patriarch Lalu Yadav should realise that the RJD is because of the public but, he rued, his father doesn’t get to hear many things. In November, he filed a petition in a court seeking a divorce from his newly-wed wife Aishwarya Rai. Despite pressure from his family, he refused to withdraw the plea. Aishwarya is Chandrika Rai’s daughter and granddaughter of former Chief Minister Daroga Rai.